One of the long-standing misconceptions about a career in information technology — at least among some people — is that it’s all about the technical skills. Technical skills are certainly important — you can’t build applications if you can’t write code ­— but most successful IT workers these days will need to be more well-rounded. The days of the stereotypical coder working alone in a dark basement are largely over. In particular, the most valuable IT workers will understand their employers’ businesses, including their needs, their goals, and the larger market. IT workers need to understand how technology fits into those larger business objectives. They should know how to work with their colleagues and their employers’ customers. The key to success is not so much the technology itself, but identifying and filling a need that the business has. Most people preparing for an IT career would do well to take some business classes before they enter the job market. A big part of the job now is understanding how to make the employer’s business better and more competitive. This includes the skill of talking to the business people in the organization. Those IT workers who can speak business will go much farther in their careers than those who don’t, because the IT department’s role these days is the implementation of the business’ objectives, not the practice of IT in a vacuum. The main job of modern IT departments is to come up with an IT plan that drives the business forward, whether the nuts-and-bolts IT work is done in house or by an outside service provider. For individual IT workers, learning how to talk with the business people at their organizations means quicker advancement in their careers. For IT departments, communication with the rest of the business is crucial. 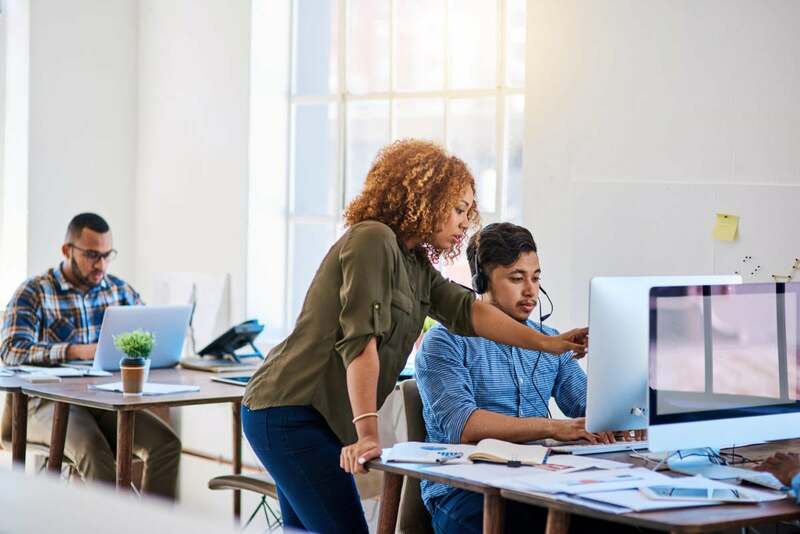 It’s that communication and collaboration between IT departments and the business units that’s leading to the digital transformation of organizations. Digital transformation, the revamping of businesses to take advantage of new IT tools, is a hot trend right now, but it doesn’t happen without IT and business leaders who can speak each other’s language. It’s also worth noting that other so-called soft skills, not just the ability to communicate with other departments, but also teamwork, work ethic, flexibility, and problem-solving skills are also important for individual IT workers and especially for people holding IT leadership positions. These soft skills are at least as important as technical skills for IT executives. Indeed, in a late 2017 survey commissioned by Capgemini, more than half of those responding said they believe a digital talent gap is hampering their digital transformation programs. But 59% said their organizations lack soft digital skills like customer-centricity and a passion for learning, while 51% said they were short of hard digital skills. All of this is not to say that technical skills are overrated. IT workers and leaders with strong technical skills are still needed and valuable. But they can become more valuable when they combine superior technical skills with an understanding of their business and with soft skills. It’s important to realize that IT doesn’t have all the answers. A good team needs to work together to be successful, and IT is one part of that team.